What is Your Favorite Mike Nichols Film? 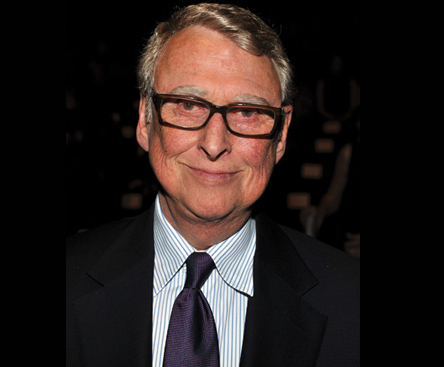 Tragically, earlier this week, famed director Mike Nichols passed at the age of 83. Born in Berlin in 1931, Nichols left Germany with his family to go to America to escape the Third Reich. In the 50s and early 60s, Nichols gained great fame as a theater director, but became an international star when he entered the film scene. In 1966, Nichols’ directed Who’s Afraid of Virginia Woolf?, starring Elizabeth Taylor and Richard Burton, which became a critical and box office hit. Nichols’ latest picture, 2007’s Charlie Wilson’s War, a blazing satire of Congressman Charlie Wilson’s role in Operation Cyclone, showed that the director hadn’t lost his comic touch. So today, I thought I’d ask what’s your favorite Mike Nichols picture? For me (and I’m guessing for most people) it would be The Graduate, a picture that helped launch the Golden Age of American Cinema that lasted from the late 60s through the 70s and made Dustin Hoffman a star. In just about any intro to film course, you’re likely to be shown the famous montage scene set to the tune of Simon and Garfunkel’s “The Sound of Silence.” After almost five decades, The Graduate hasn’t lost any of its importance and still remains one of the most influential American pictures of the 60s. Posted in Movies, Questions | Tags: Charlie Wilson's War, Mike Nichols, The Graduate, Who's Afraid of Virginia Woolf? I’m going with what many might consider an odd choice: Wolf. Same here. I saw The Graduate first-run (I was in junior high at the time) and it simply blew me away. Certainly set my expectations for what the future held that’s for sure. Nice obit. I’ve always been partial to Primary Colors, while Silkwood is great. You can’t beat The Graduate though. Still needing to see The Graduate. In fact, that film just made a list of Ten Films I Must See (very soon). . . So, I’ll have to go with Charlie Wilson’s War. Obsure, sure, but it’s a ton of fun and features a lot of fine performances. Nice post, sure is a shame to lose Nichols. Virginia Woolf may be mine. He was such a talent behind the camera. Sad loss. Surprisingly, the only film I have seen from him is The Graduate, but that one left a lasting impression on me. I know others find it to be dated (I believe Roger Ebert even said as much when he re-reviewed it), but I think it holds up quite well. Tough one, there are so many great ones by Nichols. But I think my favourite is Working Girl followed by Who’s Afraid of Virginia Woolfe and The Graduate. A great filmmaker.